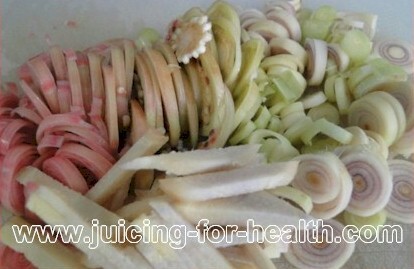 Make this healthful tea a regular drink alongside your fresh juices, for a super-boost to your immune system. 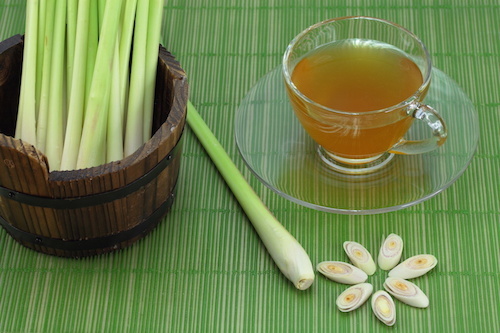 Lemongrass-ginger tea is an excellent home remedy for many health problems. 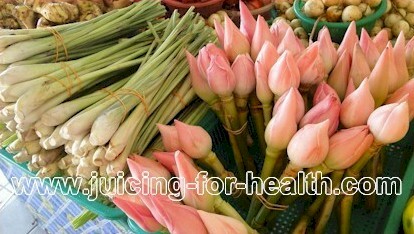 Regularly drinking it helps your overall well-being. For therapeutic use, it is recommended to drink 500 ml to a liter of this tea (approximately 17-34 oz) daily. For illustration purpose, I’m using a one-glass portion measurement. 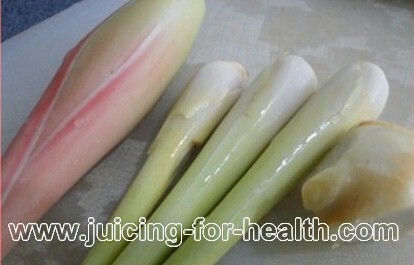 3 big lemongrass bulbs – you want the white base part where concentration of nutrients is highest. It is recommended that you make this tea fresh daily, and drink it warm, before meals. 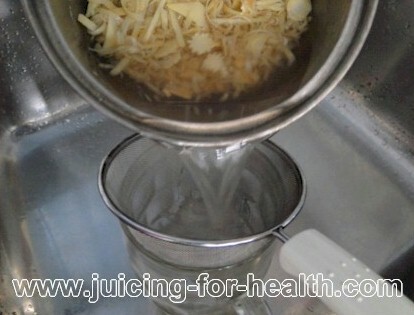 Read about the health benefits of lemongrass and ginger. Thank you for promoting this combination of our Malaysian spices to have it as drinking tea. I have been preparing this tea for my consumption for the past 2 weeks and I noticed my “loo” time has become smoother! Before I am going to bed at night OR upon rising in the morning, the routine to visit the “loo” had happen naturally and without sitting long in the toilet!!! It was unexpected!! Thank you for this information! I have been growing this plant and not using its benefits. Now we will because we need it. Thank you for recipe. Hi,when is the best time to take this tea?before meals or after meals?